T and I had a really low key weekend. This is the first weekend in months that we've been at home with nothing to do. I had a list of things I wanted us to get done around the house, but we didn't get any of those done. We just laid low and took advantage of our free time. 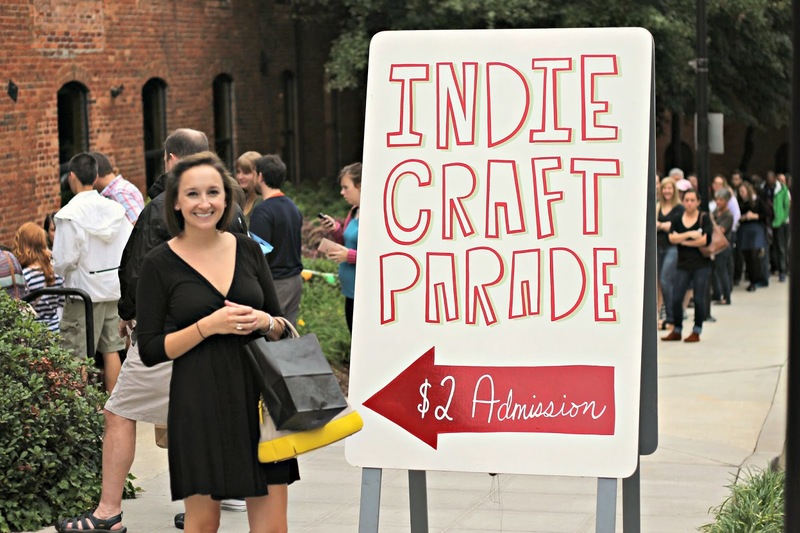 The highlight of the weekend for me was the Indie Craft Parade. 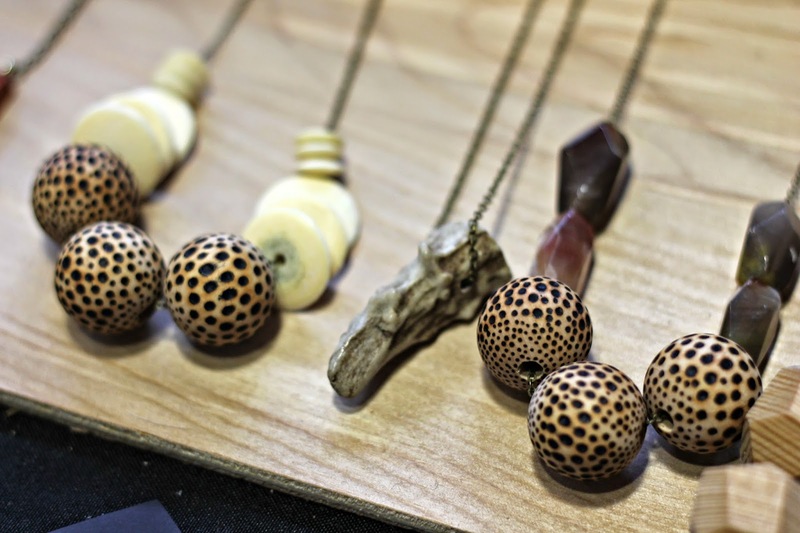 The Indie Craft Parade is a festival in Greenville that celebrates independent artists and their crafts. 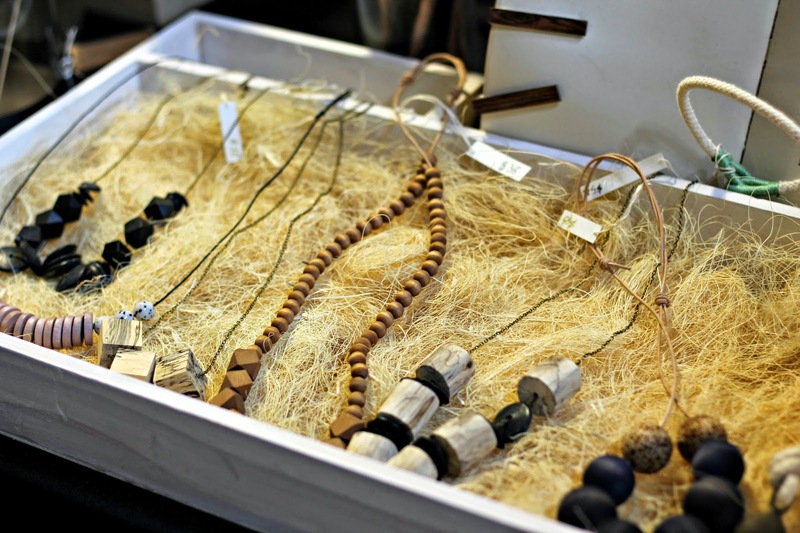 Selected artists set up booths and sell their goods during this two day event. We went for the first time last year, when we just stumbled upon it on a Sunday afternoon. I had never heard of it, but we figured we'd give it a go since admission was free. This year we made a point to go again, and made sure to get there as they opened on Sunday since the lines can be ridiculous. It's usually one-in-one-out the majority of the time it's open. Admission has gone up to $2 a person this year, but it's totally worth it. 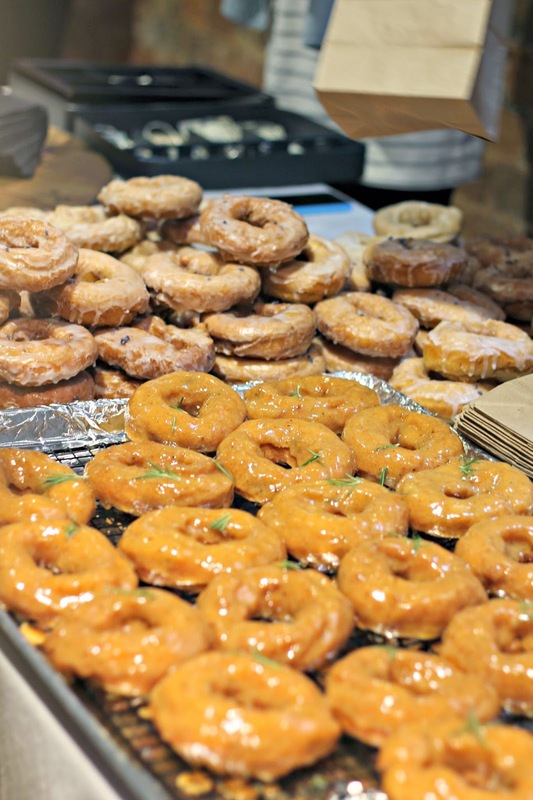 We started our morning with doughnuts from Circa Doughnut, a local doughnut company. T went traditional with the Sour Cream Old-Fashioned and I tried the Lemon Lavender. Once again I fell off the wagon with my Whole 30 challenge, but it was totally worth it. I've been wanting to try one of these doughnuts for months. 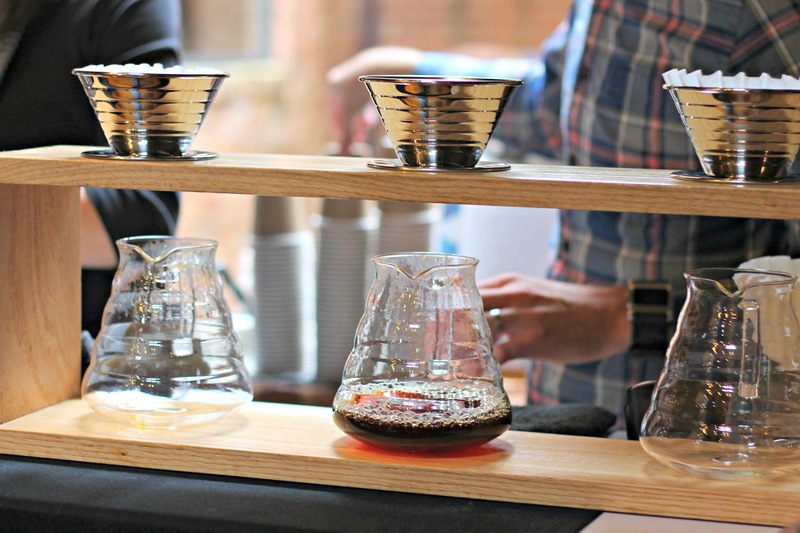 We also shared a coffee from Methodical Coffee. Methodical will be opening up a brick and mortar in October on Main street, so it was great to get a preview of their offerings. 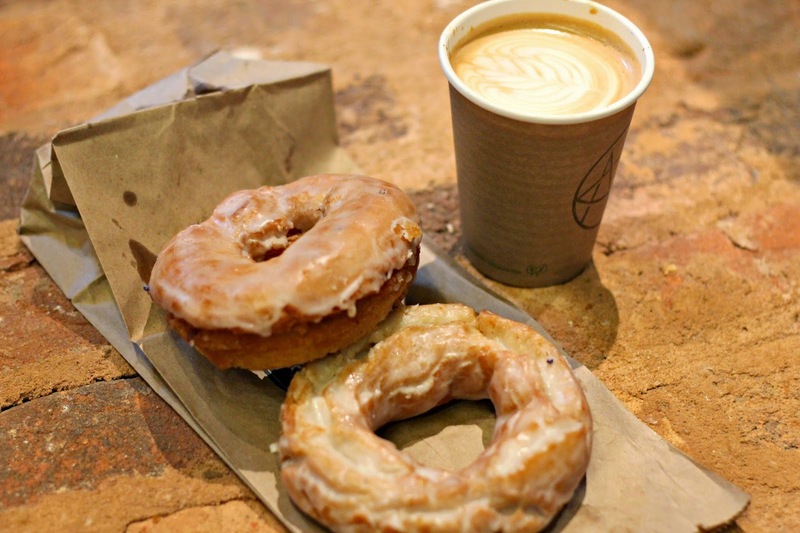 After our doughnuts and coffee, we started making our way through each booth. I saw a few of my favorites from last year, as well as some new ones. 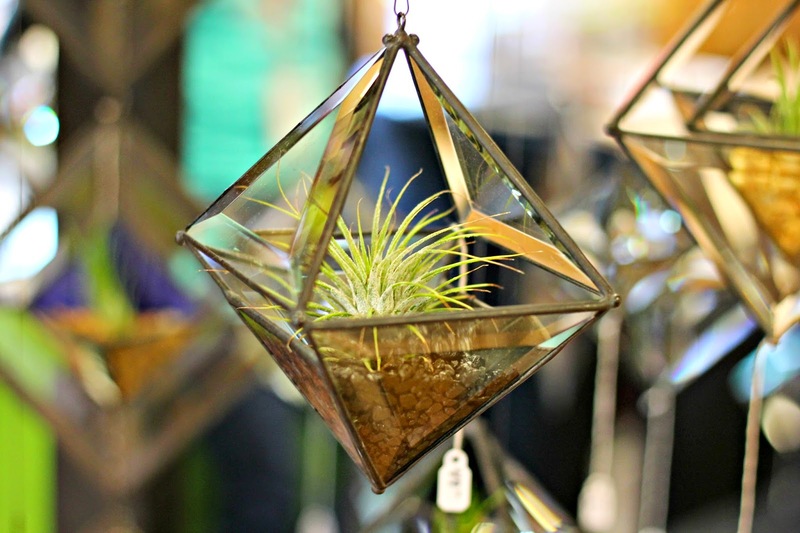 Their hanging orbs and terrariums are mesmerizing, and very reasonably priced. 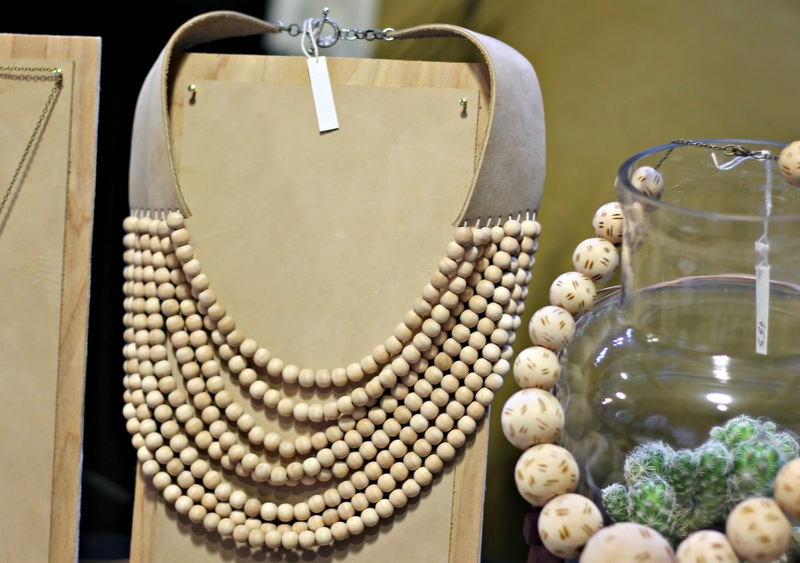 The smaller ones range from $20-$35. 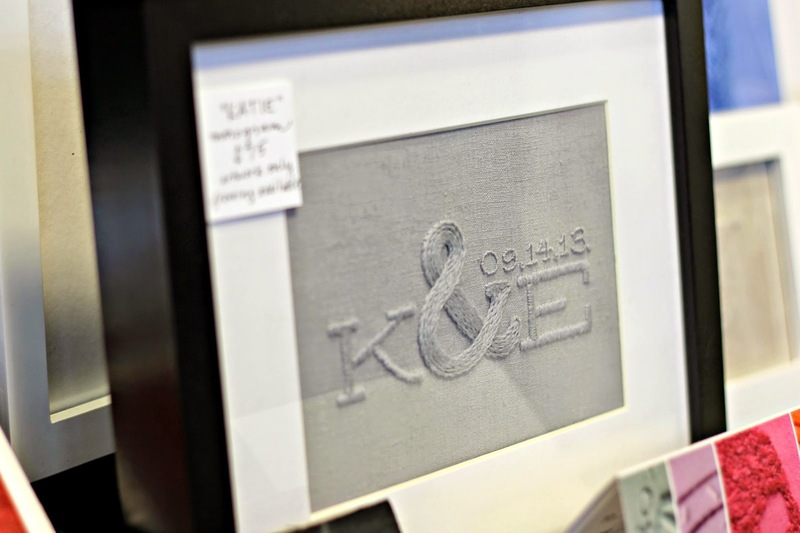 Their custom monograms would be such a special gift for a wedding or baby. 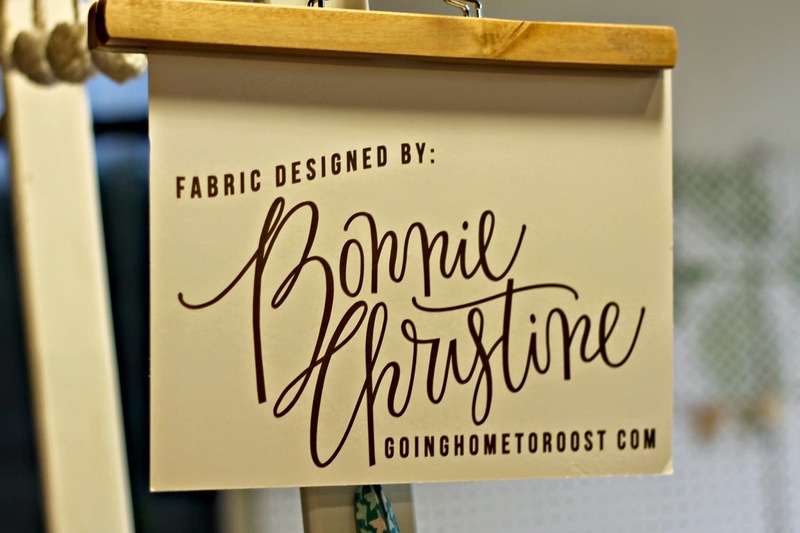 Bonnie's fabrics are just beautiful. 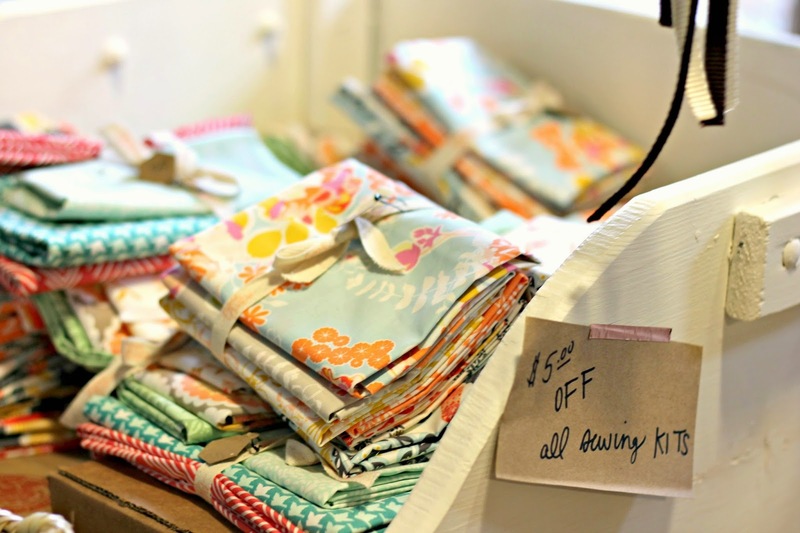 She sells patterns and sewing kits as well as the finished products of all of her goods. These custom stamps caught my eye. 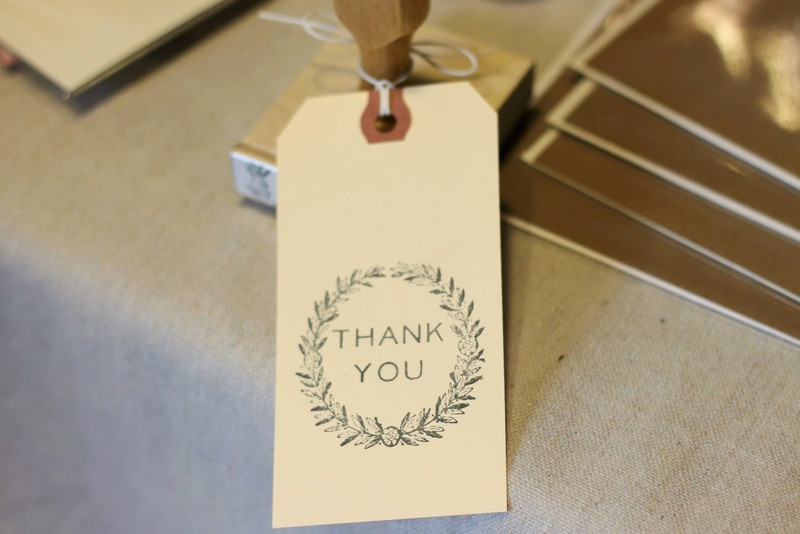 You can also get personalized return address stamps on their website for $35. 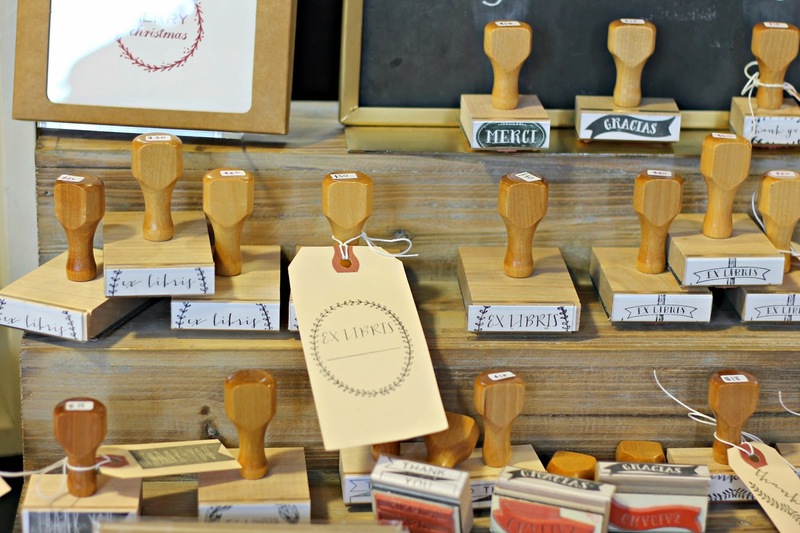 They're based in Greenville and the turnaround time on their custom stamps is only 3-5 days. 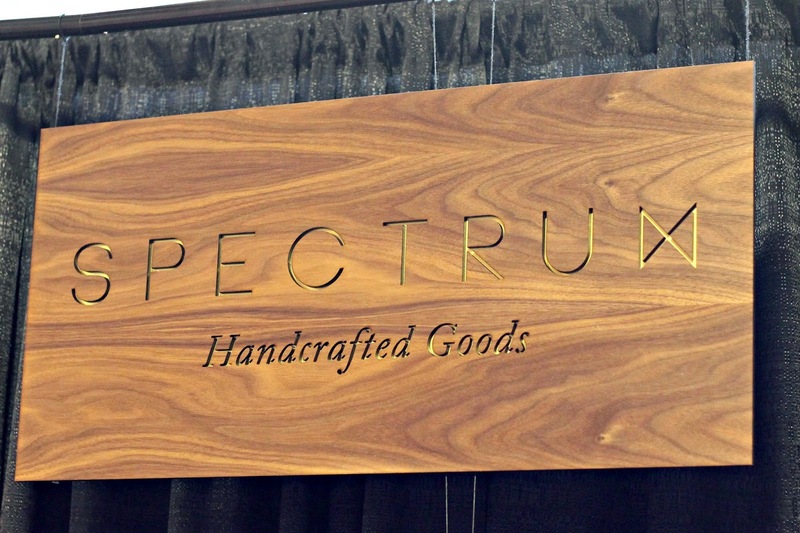 Spectrum was my favorite booth from last year, so I was thrilled to see it again this year. 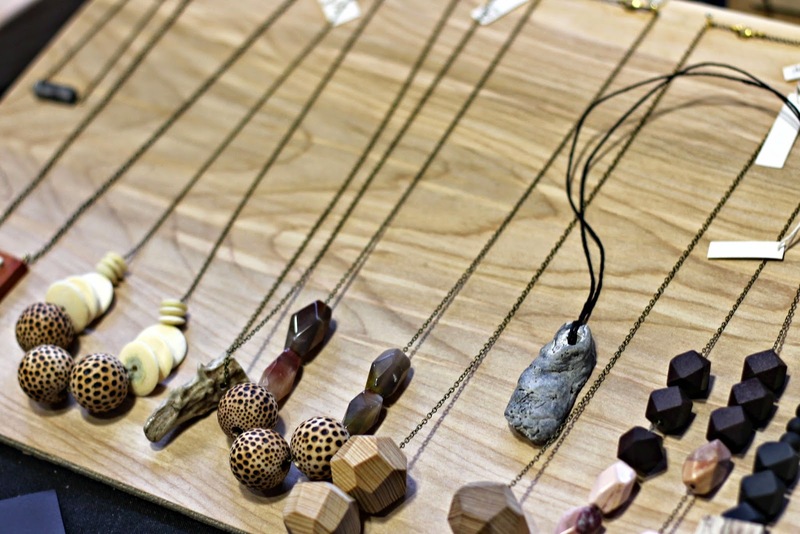 The owner, Julia Riffel, uses different kinds of wood, natural stones, animal hair, and antlers in her pieces. Since I now have a little niece to shop for (and another niece or nephew on the way! ), I was drawn to all of the booths selling baby items. 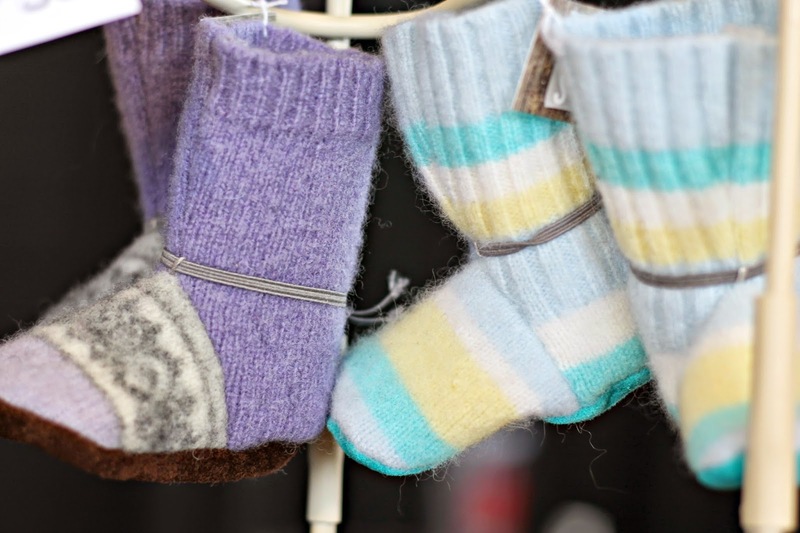 These cashmere booties from Pogoshop were absolutely adorable. They also had cashmere mittens for babies. Maybe a little impractical, but nothing is cuter than baby-sized cashmere mittens. 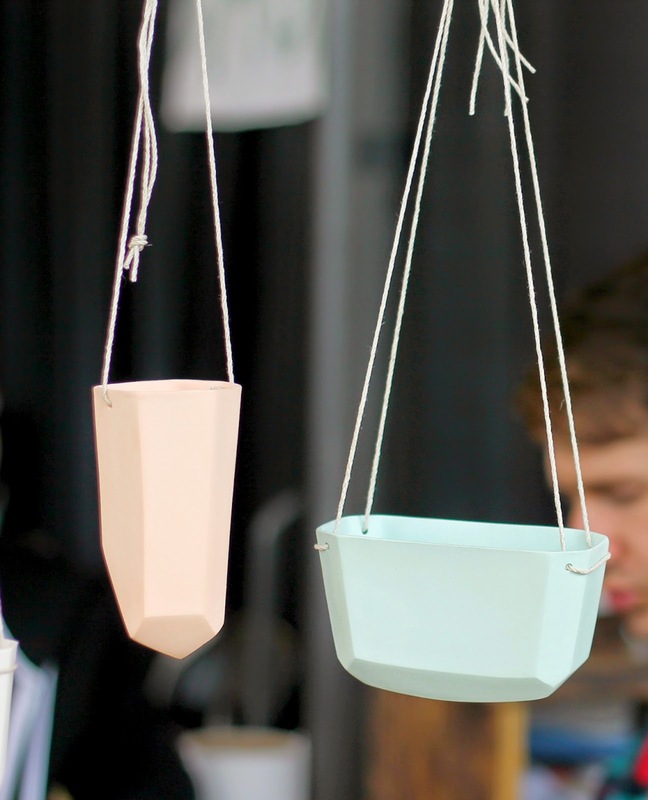 By the time I walked up to this booth, I had already spent more than I'd budgeted, but these Bean And Bailey ceramic hanging planters were so tempting. It was so great to knock out a good portion of my Christmas shopping in September. Christmas always sneaks up on me, so it's such a relief to know that I've already got a chunk of my shopping taken care of. 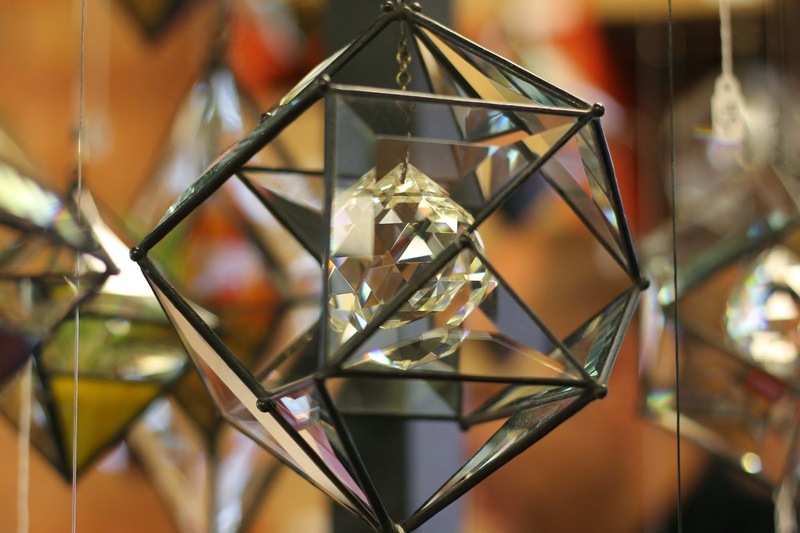 If you missed the event this year, they're having a Holiday Fair on December 6th! Visit their site here or follow them on instagram here for more information. Oh my gosh. That looks like a field day! 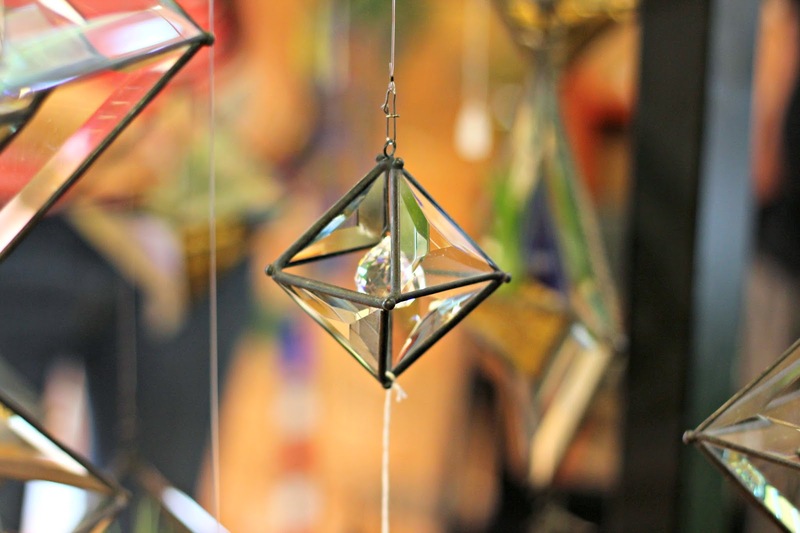 I love craft fairs like this and the booths you highlight are amazing! I'll be checking out the jewelry and stamps. Amazing! We started on the second floor, so by the time I made it to Methodical Coffee my 2 week-old sidekick was putting up a fuss. Didn't know they are coming to Main Street, how cool! My mom said the cold brew coffee was amazing... can't wait to try it. My first fair was the one in 2010, and I'm amazed at the variety and originality every time I attend! I so meant to go this year, and hate that I missed it! Great review of it--definitely going to check out some of those links.